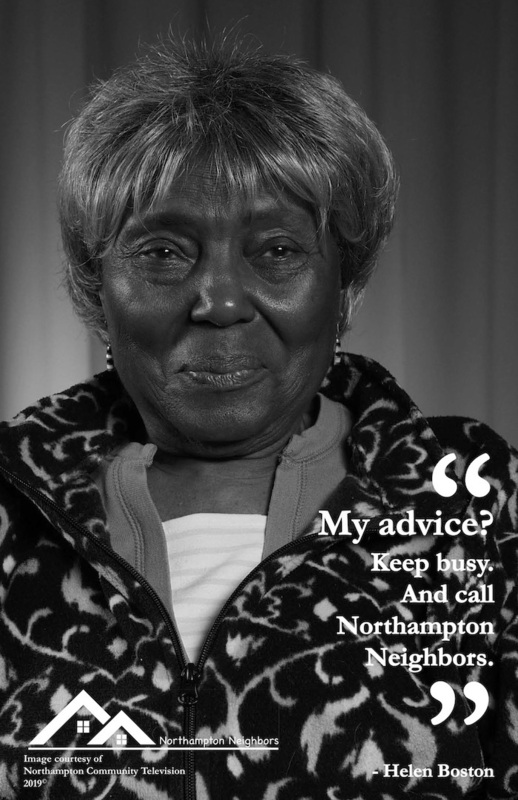 Northampton Neighbors (NN) is a nonprofit organization that provides volunteer services and programs to empower seniors to live independent, engaged lives at home. We are a community of neighbors helping each other with our daily tasks. All members of Northampton Neighbors are welcome at events, gatherings and Interest Groups, but to receive services you must be 55+ and live in Northampton, Florence or Leeds. At the heart of our mission are the people of all ages who volunteer to help our members continue to lead rich and engaging lives. Many members enjoy the experience so much that they decide to offer services in return. Free membership ensures that there are no economic barriers preventing Northampton seniors from receiving services or participating programs and events. We depend on our members’ generosity, the support of our local business community and grant making institutions. Please consider a sustaining donation. Please join us as a member, volunteer and contributor to Northampton Neighbors.